Categorizing a place as safe or unsafe is beyond our reach as each of the places has its own pros and cons. So, is travelling in India unsafe? If that were the case, none of the tourists would come here. In fact, there are many destinations in India where the locals are really helpful. 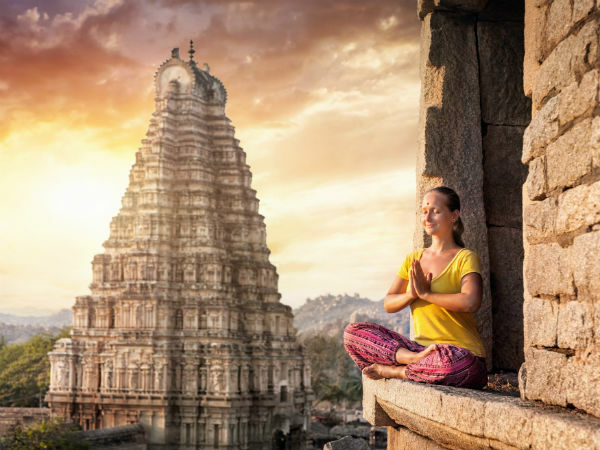 Let us take a quick glance of some of the fascinating places in Karnataka where solo women travellers can travel free. "The World Heritage Site", tops the list of most frequently visited destinations of Karnataka. It is not just the historical ruins that make this place a popular tourist destination but the friendly people who treat guests with great respect and care make the visit worthwhile. Women can have a gala time visiting all the attractions in Hampi. Coorg is a great choice for solo women travellers too. There are plenty of stay options and better transport facilities that make it easy to stroll around this enchanting site. Non-vegetarians,be ready to tantalize your taste buds with the exotic Kodava cuisines. Yet another destination for Solo Women Travellers - Mysore "The Cultural Capital",a happy go lucky city. The laid back atmosphere of this historical place is a favourite of many. The ambience and the soft-spoken people of Mysore will surely make you fall in love with it. Public transport system is a great option to travel within the city. Autos and private vehicles are available at affordable rates. Must Visit Places: Mysore Palace, Mysore Zoo, Chamundi Hills, Srirangapatna, Brindavan Gardens. "The Coffee Land of Karnataka" - Chikmagalur, has a lot to offer for solo women travellers. The unforgettable vistas of this place are worth a visit. It is not only the nature that is serene but also the people who're pleasant and friendly. It is also said to be one of the best places for road trips in Karnataka. Take a morning walk amidst the coffee plantations for a unique experience. The pleasant easy-going aura of Shimoga is a rejuvenating experience. The lush green hills, paddy fields with various historical sites and some unexplored parts make your visit a very interesting one. Shimoga is popularly known as the 'Gateway of Malnad'. This place is a great option for Solo women travellers. The city of Udupi is always lively and welcoming. The beaches along with several temples will make your visit memorable. Just keep in mind that women wearing jeans and short tops are not allowed in some temples. So wear a knee length top with cotton pants if you're planning to visit the temples. Don't miss out on the food served in Udupi Krishna Temple. The climate is pleasant in most parts of Karnataka except during peak summer and peak monsoon seasons. The people of Karnataka are easy-going and helpful, enquiring about routes should not be a challenge at all. It's great to have some ethnic outfits as some attractions are pilgrimage sites and may have restrictions. It is good to make reservations at hotels, home-stays or resorts before you reach the destination.